Last weekend, I took a solo trip to Siskiyou, and it was a blast! I wanted my husband to come with me, but he had a large pile of papers to grade, and all my friends in Siskiyou were busy too. I missed having a traveling companion, but I don’t mind solo trips. For me, travel is the best when I engage my curiosity, talk to people, ask questions, and try new things. I hope my weekend solo travel stories will spark Siskiyou themed trip ideas for you! Late Friday afternoon, I rolled into Mt. Shasta, and it was sunny and cold. After I checked into the Cold Creek Inn, the clouds parted, and I was able to see Mt. Shasta! It was a beautiful day. The location of the Inn was great because it was easy to walk into downtown Mt. Shasta, and I spent the afternoon window shopping and exploring the local businesses. One of my favorite stops was at Heinz Danzberger’s photography gallery. His work features Siskiyou, and it’s gorgeous! He’s lived in Mt. Shasta for over 25 years, and we had an interesting conversation about tourism, surviving as an artist, marketing, and more. We both remarked that it would be easy to spend ten years just exploring and taking photos of Siskiyou because there is so much to see. When dusk arrived, I walked back to the Inn for a snack and bundled up for the Athens Country Christmas Display that’s hosted by Cathy and Dave Athens. I put on an extra jacket, my beanie, and scarf, and drove to the light display. As I wandered around taking photos and looking at the lights, I ended up chatting with Jaime—Cathy and Dave’s daughter—briefly. She spent over 100 hours helping her folks set up the display, and I thanked her for all the hard work. I’ve never seen so many Christmas lights in one location! After spending the afternoon and evening wandering around in the cold air, I ended the day at Lalo’s Mexican Restaurant. Lalo’s is a few blocks away from the Cold Creek Inn, and their pulled pork tacos with rice and beans were delicious. 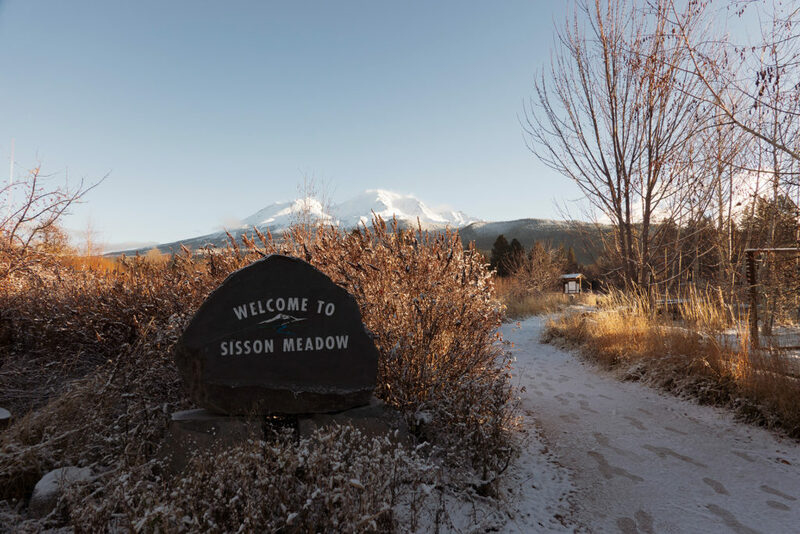 On Saturday, I woke up to the first snowfall in Siskiyou! Roughly an inch of snow was on the ground, and it was a treat to see. After drinking coffee in my room and editing photos, I decided to walk to Mt. Shasta Pastry for breakfast. Mt. Shasta Pastry was packed with locals, and I was lucky to get a table. I was delighted when my omelet and apricot turnover arrived. Hot coffee and a big breakfast was just what I needed to fuel a fun day of adventuring. I savored my meal, wrote in my journal, and planned my day. I considered going on an ice skating adventure, but the skate rink wasn’t open yet. Instead, I visited The Gallery and Soul Connections before heading to the McCloud Victorian Christmas event. The gorgeous drive to McCloud wasn’t long enough to savor the view. The foggy weather made the snow-lined trees pop, and as I descended into McCloud the sun came out. McCloud is a beautiful town, and I enjoyed wandering through the shops and talking with locals who were dressed up in Victorian period attire. Other highlights included listening to guitarist André Mottershead and Christmas carolers on Main Street. The atmosphere was festive. Plus, there was a marshmallow roasting station on main street, and it was an excellent opportunity to say hi to folks and watch little kids get a massive sugar high. And speaking of food, I enjoyed eating a homemade berry pie at the Axe & Rose Public House. I wanted to eat all the food in McCloud, but I wasn’t hungry enough to accomplish my goal and decided to eat dinner later in the evening. I settled on Cooper’s Bar and Grill in Mt. Shasta because three locals recommended the restaurant. The food was good, the restaurant was full, and the service was fast. By 9 pm I was cuddled up in bed with a mug of hot chocolate and a good book; it was a lovely way to wrap up an adventure filled Saturday. I woke up to another light dusting of snow on Sunday morning with blue sky! Rather than dither in my room, I dressed in layers, made a cup of to-go coffee, and headed out to chase the light. I ended up at Sisson Meadows which is great for a quiet walk, bird watching, and photography. In the warmer months, it’s a nice spot to have a picnic. After a few hours of walking and taking photos, I was cold and hungry, so I headed to Yaks and treated myself to a pumpkin muffin and a Coconut Cream Latte. If you’re in the mood for something bigger, Yaks makes killer breakfast burritos. 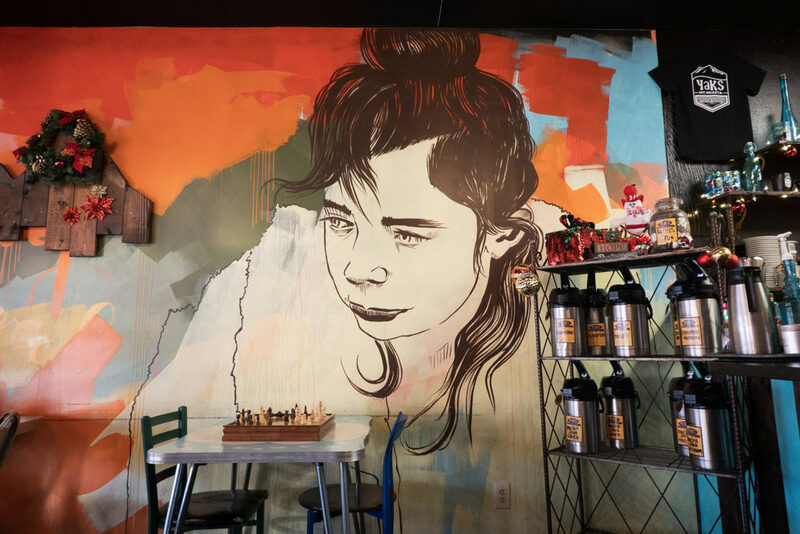 They also have chess boards available for patrons and a back room with additional seating; it seems like the perfect space to hang out with friends on a cold fall day. By the time I finished eating and wandering, it was time to check out of my hotel and head home. I had one more stop to make, though; The Wheelhouse in Dunsmuir. They serve Northbound Coffee and it fueled my trip home. Dunsmuir was also in the Christmas spirt. Wreaths were up in downtown, along with giant candy canes and a wooden snowman. My trip to Siskiyou was delightful solo trip. However, I didn’t feel “alone” because I chatted with locals and I enjoyed my alone time. With that being said, I want to spend more time in McCloud, so my husband and I are going to plan a winter trip to the area. There are a few restaurants that I want to patronize, and I’d love to go snowshoeing at the Mt. Shasta Nordic Center again. —Lodging: On my trip, I stayed at the Cold Creek Inn in Mt. Shasta. It’s cute, clean, and affordable. Plus, downtown Mt. Shasta is a short and easy walk from the Inn. McCloud also offers a plethora of beautiful lodging options like the McCloud River Mercantile Hotel. Explore more here. —Good Eats in McCloud: McCloud has some great new restaurants including, Axe & Rose Public House, Sage Restaurant, and the McCloud Meat Market & Tavern. 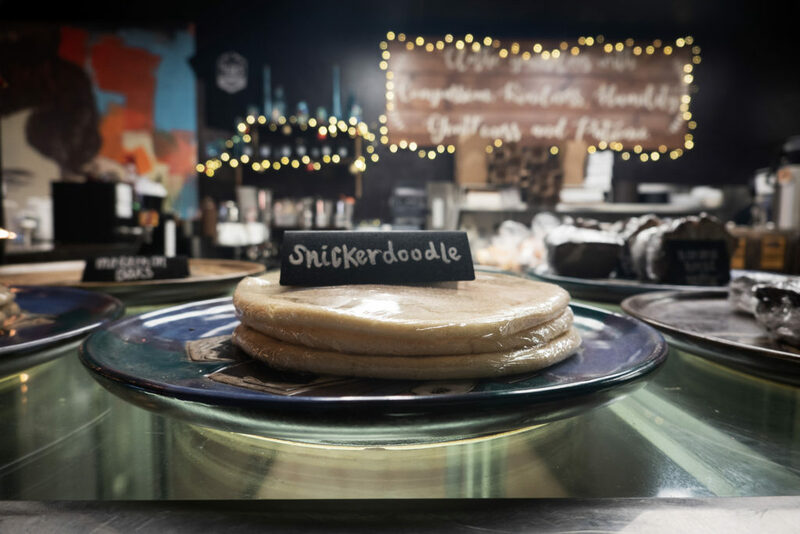 In the mercantile, you’ll find a candy shop, coffee shop, and more! For a tiny town, they have a fantastic selection of dining options. 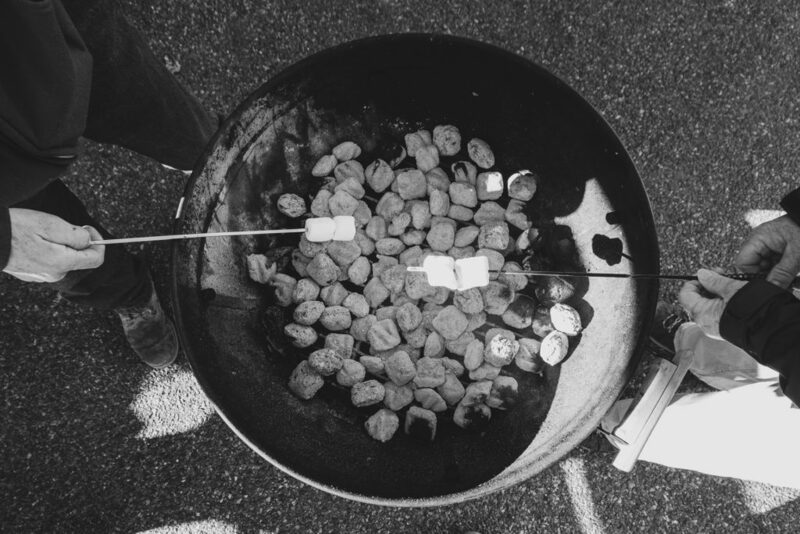 —Good Eats in Mt. 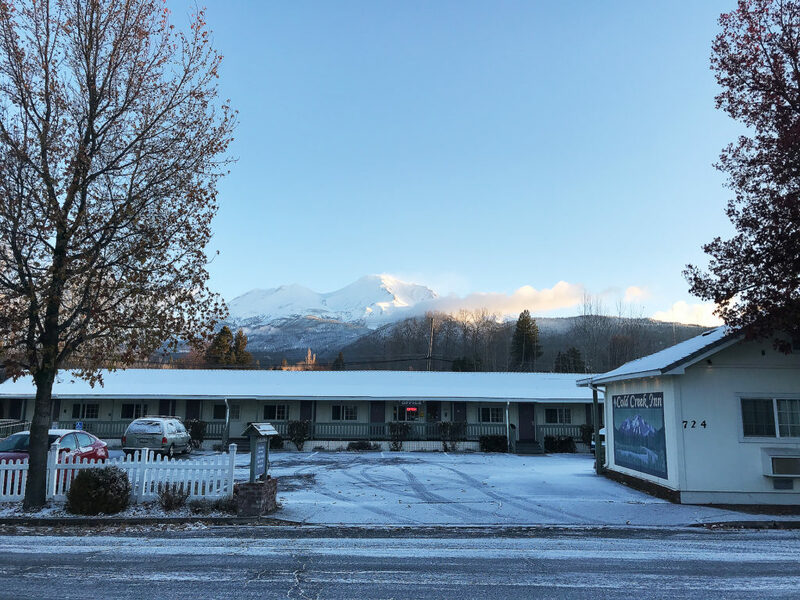 Shasta: I asked locals and a few Innkeepers for restaurant recommendations in Mt. Shasta, and they all recommended the following places Cooper’s Bar and Grill, Mike and Tony’s, and Mt. Shasta Pastry. 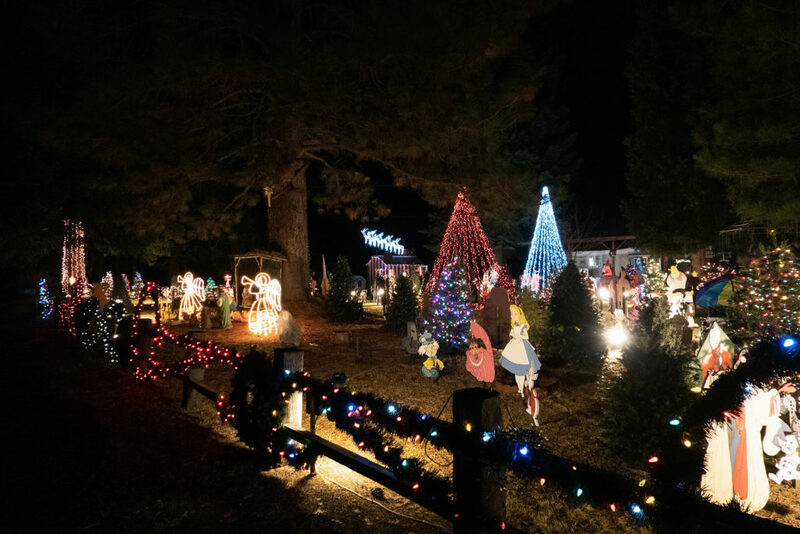 —December Events: The Athens Country Christmas Display is located at 936 Douglas Lane in Mount Shasta and is open on Friday and Saturday nights between 6 and 8 p.m. The light display is free to the public. 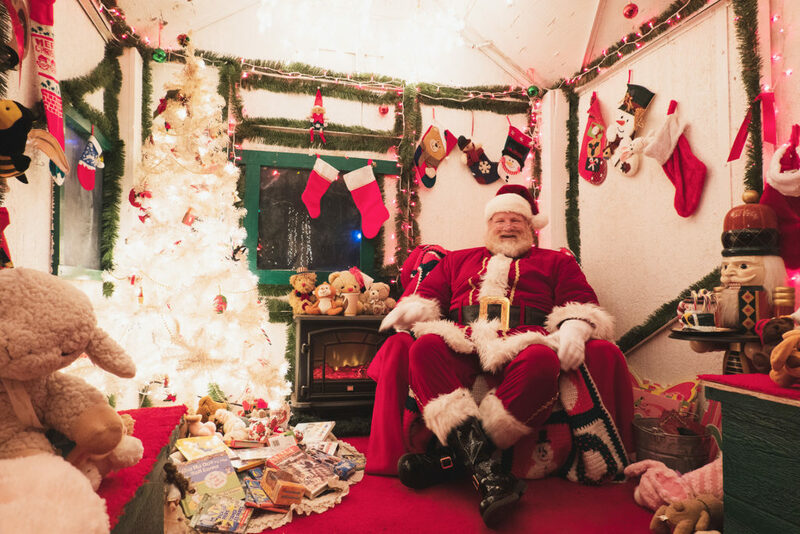 Along with beautiful lights, there is free coffee and cookies, and you might spot Santa hanging around. 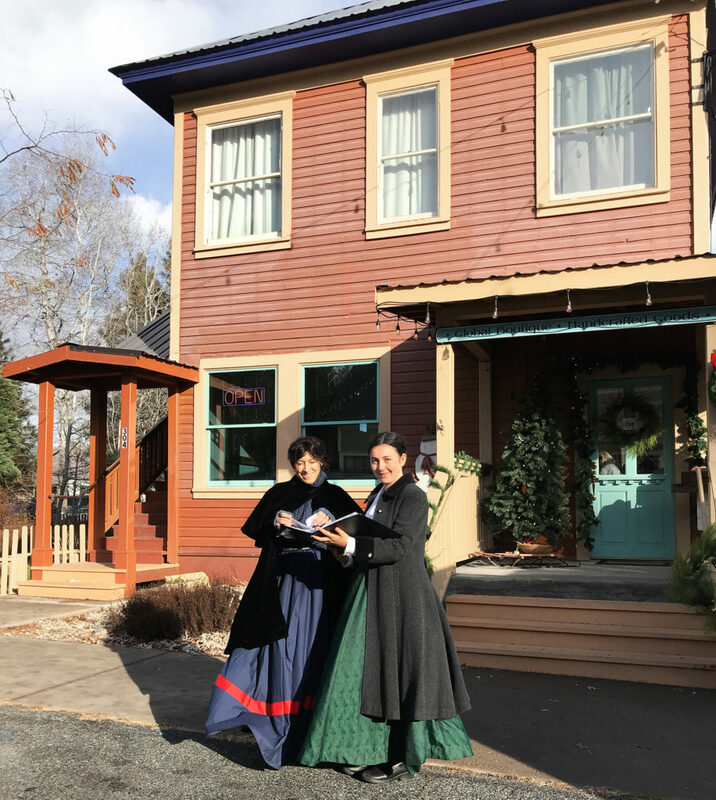 The Victorian Christmas in McCloud is a month-long event with fun activities for kids and adults. Additional event details can be found here. —Driving Conditions: Before I drove to Mount Shasta, I doubled checked the weather and road conditions and made sure that I had chains and water in my car because a winter storm was supposed to roll through Northern California. I didn’t want the storm to derail my adventures, and I wanted to be prepared. Also, the Caltrans QuickMap app is a must-have resource. It gives you the latest updates on road conditions, travel preparedness tips, and you can see traffic camera snapshots. Need inspiration to plan a solo trip? Read Alone Time: Four Seasons, Four Cities, and the Pleasures of Solitude by Stephanie Rosenbloom. It’s an inspiring book that helped me see my community with fresh eyes! Read Preparing for Your Trip to Siskiyou for more travel tips and tools.